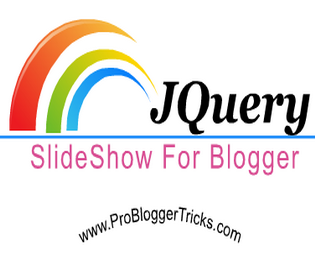 Here you will learn and know all the the major feature by using jquery slideshow 2013 in blogger blog. By using slider featured post slideshow in blogger blog you can easily attract visitors to your popular post or older posts and many mores. 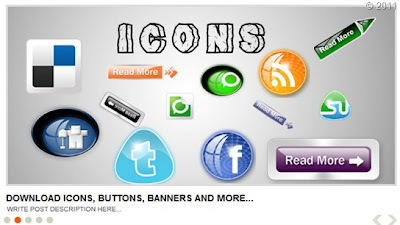 Besides, it could help to increase your pageviews and reduce blog bounce rate. How Created This Widget ? This Blogger slider show has been originally created by Mustafa Sir the owner of MBT earlier in 2011. If are interest to share this widget then do not forget to add the credit link back to MBT. Have a look into this widget. This is a very simple process just follow all the below given step carefully. Hope you will not face any difficulty one you follow all the steps correctly. Lets go to add this gadget to blogger. Replace all these ADD POST URL-1, 2, 3, 4, 5 HERE with the URL of your blog post pages. Remember all These URLs will be added twice for each slides. Once for the image and second time for the Post title. Replace all these ADD IMAGE-5 LINK HERE with Your Post Image link of the Featured post. Default all these images having width:580px; height:266px; You can easily edit these image size by do editing in the width and height in the CSS code which we shared in step#2. Remember: All your images having Same Size. otherwise it will not work well. Replace all these >> WRITE POST DESCRIPTION HERE with Post Page Description. You can write 1 or 2 lines of your post here and the readers could easily read full post by clicking on the title tag. bro I think this slider widget is from Mybloggertricks right??? Nice sharing Slideshow is giving us more futures in our blog visitors can see our popular posts latest updates and etc well nice topic u pick once again hafeez bro thanks for this post.. Thanks Rizwan Bro for your valuable comments you always encouraging PBT authors thanks and hope to see you always here. Bundles of thanks. Hafeez bro you really pick up a great topic from MBT. Bro there is a possibilities to convert java script codes into jquery but there is alot functions then you will pick one by one. So it will be better for you to build a new one widget in jquery. In converting there is a wastage of time. But if you are still forcing me than then i will just say go these websites>> you may use W3School, or my favorite ( stock-over flow) website. hoep it cover your question. Thanks for sharing this sldeshow for blogger. This slider is fast loading. I'm sorry I can't find "div id='main-wrapper" even when I click Blog1 from the dropdown menu....what should I do?